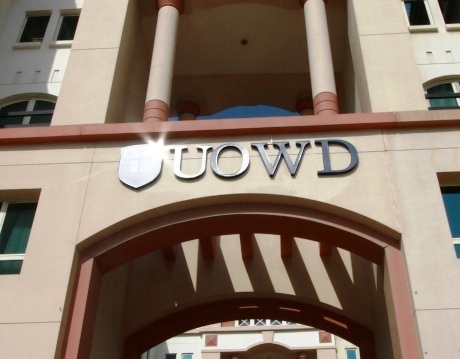 UOWD provides a comprehensive range of nationally and internationally accredited undergraduate, postgraduate, professional development and language training programs. Undergraduate courses are offered in specialist fields of Business and Management, Finance and Accounting, and Computer Science and Engineering. Our postgraduate courses are divided into taught and research-based studies. Taught programs align with our traditional undergraduate fields of study – Business and Management, Finance and Accounting, and Computer Science and Engineering – and also include a new suite of programs in Humanities and Social Sciences. Doctoral programs are offered in specific research topics, supervised by academics specialists from our four subject areas. UOWD also has a dedicated Language Centre, offering a range of language learning and progression programs in English and Arabic.